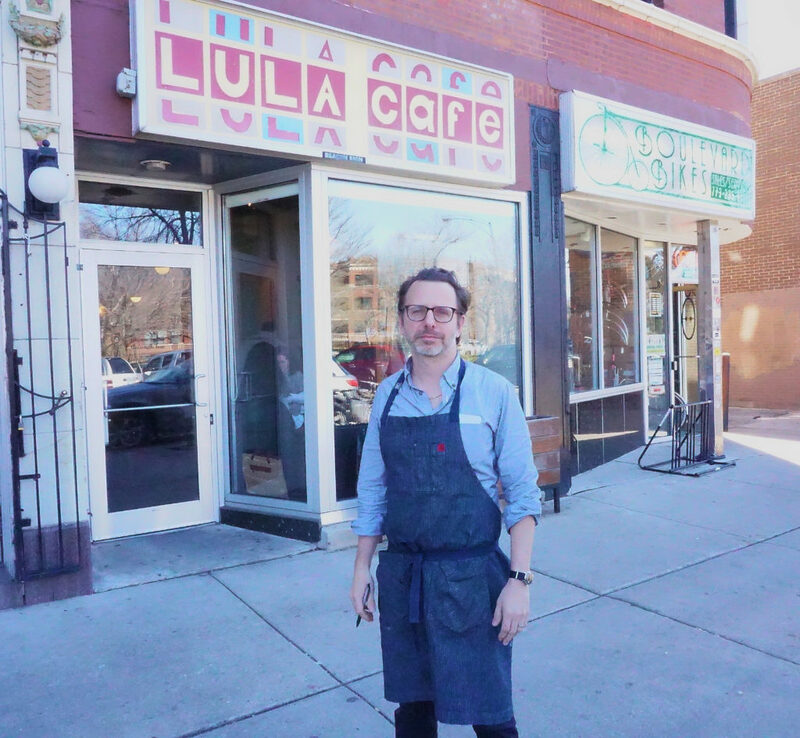 Jason Hammel of the critically acclaimed Lula Café is a rarity among Chicago’s top chefs, in that he did not learn the craft in the kitchens of culinary legends such as Charlie Trotter. In fact, Jason — who opened Lula with his wife Amanda Tshilds in 1999 — is essentially self-taught. He also shares a heightened sense of social mission with these peers: He, Kahan and Merges are among the co-founders and leaders of Pilot Light, a chef-driven nonprofit that works with Chicago Public Schools to integrate food education into students’ curriculum. 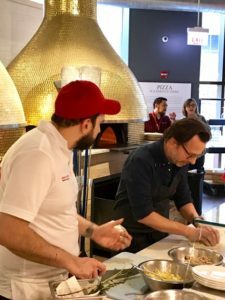 On Tuesday (April 11), Jason did a rare spin at making pizza — in the style of his hometown of New Haven, Connecticut — at Chicago’s Eataly to raise money for Pilot Light. 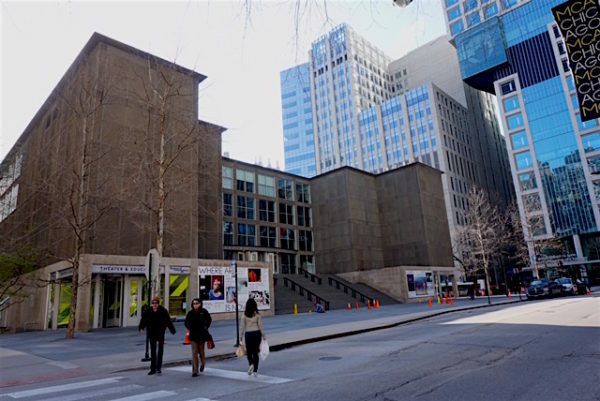 Now Jason is working to add another jewel to his career, upgrading the food offerings at Chicago’s Museum of Contemporary Art with a restaurant and coffee house that is targeted to open this summer. The restaurant will be named Marisol after a figure on the New York City art scene of the 1960s who was a contemporary of Andy Warhol. Lula Café’s name is a tribute to late actress Talullah Bankhead. Jason has an artistic bent, with an undergraduate degree in English from Brown University and a graduate degree from Illinois State University in writing. 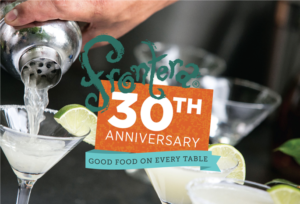 We are honored to have Jason as a participating chef at the Frontera 30th Anniversary Celebration, a joint fundraiser for Chef Rick Bayless‘ Frontera Farmer Foundation and FamilyFarmed, which will be held at The Art Institute of Chicago on Sunday, April 30. Enjoy the following excerpted q-and-a between Jason and FamilyFarmed, in which he discusses the challenges for restaurants in serving local and sustainably produced food at affordable prices, and his views on the key question of whether Good Food needs to be local. FamilyFarmed: When you were starting Lula, that was just about the time that Green City Market was starting too. So you had that interaction, and the farmers learned. Still today, we’re finding that connecting farmers to buyers is still a bit of issue, but nearly what it was 18 years ago. 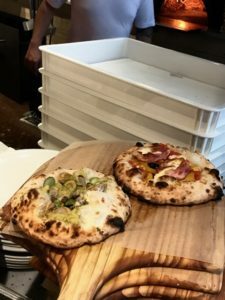 FamilyFarmed: You’ve managed to keep this restaurant thriving for almost 20 years, and you do it at a price point that is reasonable. Why is it so hard for restaurants to do? Jason: We’re really busy, we were first in, we’re popular, we’re in a great location, and we’re busy. Just the sheer volume of business helps us manage that… Prices are going to go up, and people are going to pay more money for food, and people are going to have to decide how often they go out to eat versus making food at home, and what the value of that is… The challenge is to identify our qualities and to make it worthwhile for people to pay a little extra money. FamilyFarmed: You came from a family that was in the restaurant business, but you didn’t immediately go into it, you were pursuing a writing career. Jason: It’s more about fate and happenstance than any kind of intent… Before I went to graduate school, I lived in Italy for a year… I found an apartment that happened to be on the piazza outside the Central Market in Florence, literally at the market. So I was woken up by the market every morning that year that I lived there. That is possibly the center of me liking to go to the market. FamilyFarmed: For this industry and this era, you are very rare as a self-starter. 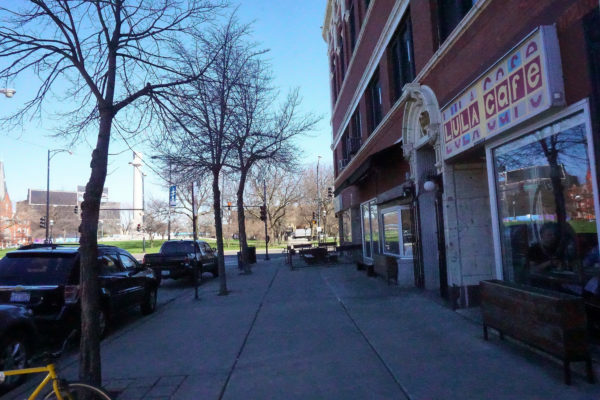 FamilyFarmed: Logan Square is a different neighborhood than it was 20 years ago, and I would say that the rise of food culture was the biggest economic driver. FamilyFarmed: And Matt Merges has been a big influence on the community. Jason: He has been a big influence on me personally. He’s my Yoda. FamilyFarmed: Let talk a bit about Pilot Light and other socially mission oriented programs. FamilyFarmed: We’ve been having sort of this arm’s length conversation about farm to table restaurants. FamilyFarmed: How do you see season extension working? It’s everything from hoop houses growing winter spinach and kale in Wisconsin to Gotham Greens and MightyVine tomatoes. FamilyFarmed: What is your favorite thing that’s grown here? FamilyFarmed: Let’s talk real quick about the Museum project. That kind of brings you back around full circle. FamilyFarmed: Participating in this Rick Bayless event, what does this mean to you? This entry was posted in Chef activism, Chef advocacy, Child nutrition and health, Direct Farm Marketing, Farm businesses, Farm to school movement, Farm to table dining, Farm to Table: Keeping It Real, Farmers markets, Food activism, Food and community, Food and health, Food education, Food Entrepreneurs, Frontera 30th Anniversary Celebration, Frontera Farmer Foundation, Good Food and economic development, Good Food business development, Good Food Dining, Good Food restaurant trends, Good Food Success Stories, Healthy eating for children, Indoor growing, Local Food, Regional food systems, Restaurants and Good Food, Sustainable dining and tagged Amanda Tshilds, Chef Jason Hammel Chicago, Chef Matthias Merges, Chef Paul Kahan, Chef Rick Bayless, Chicago Museum of Contemporary Art, Eataly Chicago, Edible Schoolyard Project, FamilyFarmed, Fat Rice, Frontera 30th Anniversary Celebration, Frontera Farmer Foundation, Frontera Grill, Gotham Greens, Green City Market, Lula Cafe, MightyVine tomatoes, Pilot Light Chefs. Bookmark the permalink. Fabulous interview.Both creatively and in substance. No wonder Lula has the well-deserved reputation it has.